Sometimes called "adult flatfoot" PTTD is a condition affecting those with decreased arch height and out-turned heel bones. 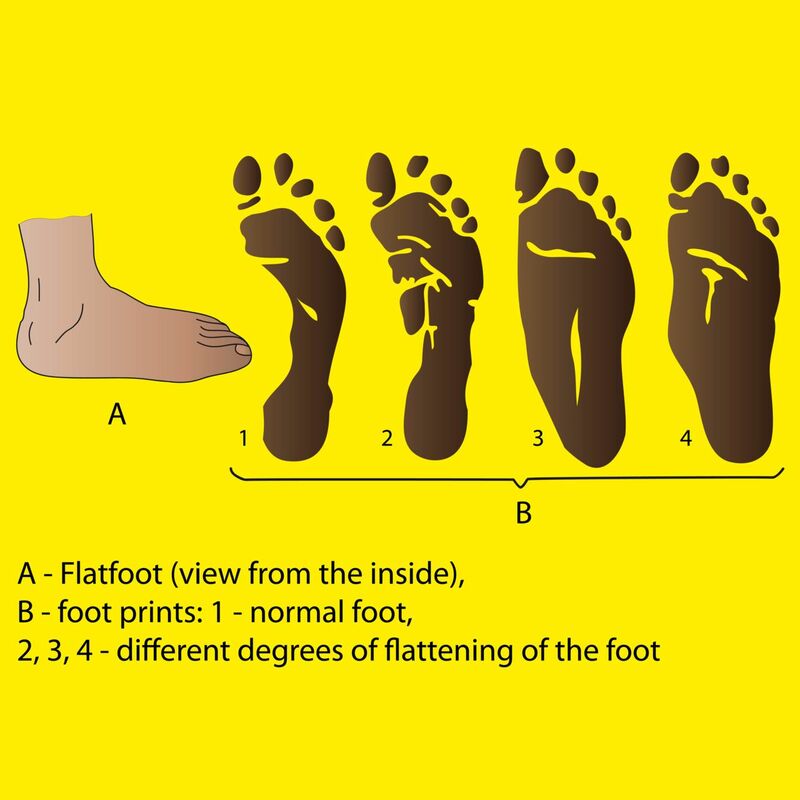 Adult flatfoot deformity by definition is a flat foot structure in adulthood. This is typically the result of untreated flatfoot in children of a certain age. This condition can be more debilitating than it seems on the surface. Chronic arch fatigue and overuse of the posterior tibial tendon causes it to become attenuated (or stretched out) and over time this can cause scar tissue and tears within the tendon. In some cases, the chronic flat-footedness can cause changes in the joints of the feet, making it even more difficult to treat. So what is the posterior tibial tendon? It is the tendon that starts in the calf and extends into the foot on the inside aspect of the ankle. It is the primary "invertor" of the foot, meaning that its main function is to pull the foot in towards the midline of the body - and it also is in charge of helping to hold up the arch of the inside of your foot. What is the dysfunction? That term refers to the tendon being overstretched and fatigued to the point that it no longer is able to do its job appropriately. PTTD (posterior tibial tendon dysfunction) can exist in one's foot for a while without any symptoms, though when the symptoms finally catch up to the biomechanics of the foot it is difficult to treat. In addition, "symptoms" as you think of them include more than pain. Often times, a child can have a flat foot structure and beyond the age of 3, this is no longer normal. If a child continues to develop and grow without any treatment of this flat foot, the posterior tibial tendon initially becomes overstretched and in attempts to compensate for the collapsing arch, often children will feel fatigued. They won't say that their "posterior tibial tendon is tired", but rather you may notice them withdrawn from sports and play with friends. You may notice that they aren't as outgoing as some other children and while this can be personality related, it has also been seen to be due to the chronic dysfunction and fatigue of the posterior tibial tendon. In adults, PTTD is visually seen as a collapsed arch and noting that the heels (when viewed from behind) are turned outward, rather than being straight up and down. Plantar fasciitis, or heel pain in the bottom of the foot, is often associated with PTTD. When treatment is sought for PTTD, typical initial treatment involves a special brace that helps to support the Posterior Tibial Tendon and rest the ankle to allow inflammation to resolve. Anti-inflammatories and icing help in the process as well. As the tendon begins to feel better, it is often necessary to attend physical therapy to re-train the ankle muscles in their proper functions. Additionally, in order to maintain the strength and balance achieved in physical therapy, it is recommended that one be fitted for custom orthotics. These help to bring the ground reactive forces up to the foot, minimizing compensation and overuse of the tendon in the future. If you have arch pain, ankle pain, tired legs and/or flat feet come and see one of our podiatrists today! The sooner the problem is addressed, the sooner you can get back to the things you love to do pain free!